Relaxing and recharging are indeed two of the most important things to do at home. And well-being is becoming a diffused priority these days, as confirmed by the newest trend report by Michelle Ogundehin (ex Editor-in-Chief of ELLE Decoration UK and global design authority). Coming to everyday reality though, this is not always easy; among houseworks to do, the rest of the family walking around and the constant stimuli of our digital world… Not to mention the whole work-private life dilemma that opens when working from home! This is exactly the thing; our home is the background of so many different activities that relaxing is not always the easiest task. A very powerful help comes from creating a designated area for relaxation. An armchair, a corner of the sofa…somewhere to always go to when it’s time to relax. Soon, our mind will associate relaxation with that particular place and will automatically enter in relaxation mode once we go there! And how to create this cozy corner so that it can truly and deeply improve our well-being? Biophilic design comes to help here. 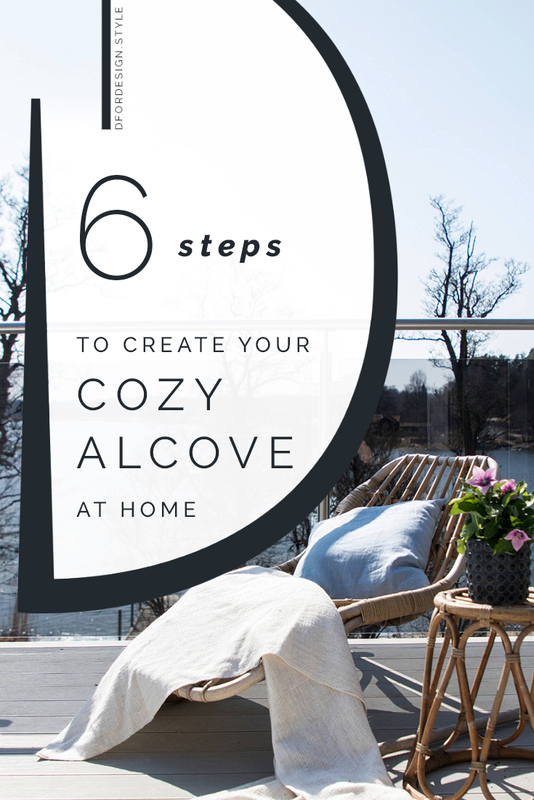 Looking through its patterns from a relaxation viewpoint, I have summarized the 6 essentials to make a cozy corner truly healing. Read my mini-series for a general introduction on biophilic design and more details on all the patterns: nature in the space, natural analogues and nature of the space. A biophilic interior needs to have areas for refuge. These are spaces that make us feel protected and isolate us from the activities happening all around. 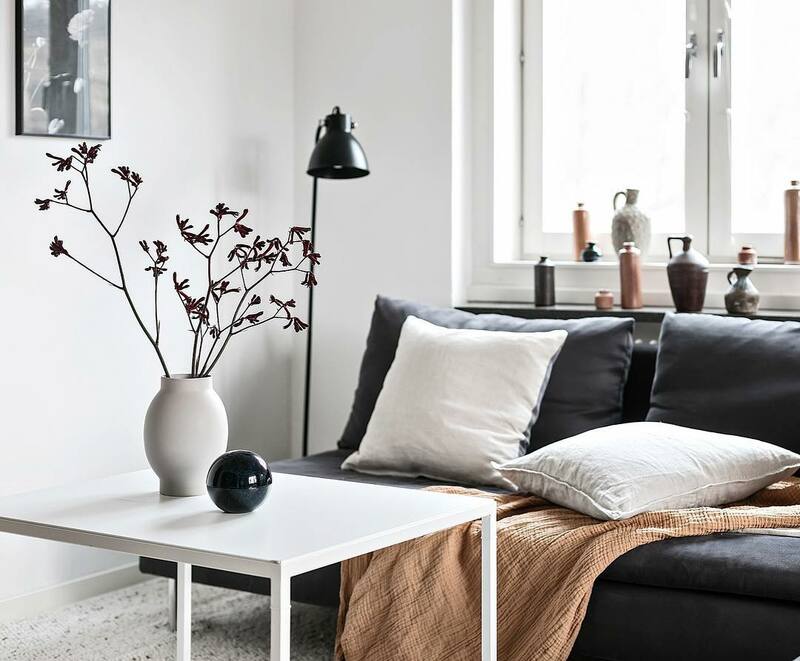 At home, what we would call a cozy corner is the perfect example of refuge and – as such – it should be located in a calm area. 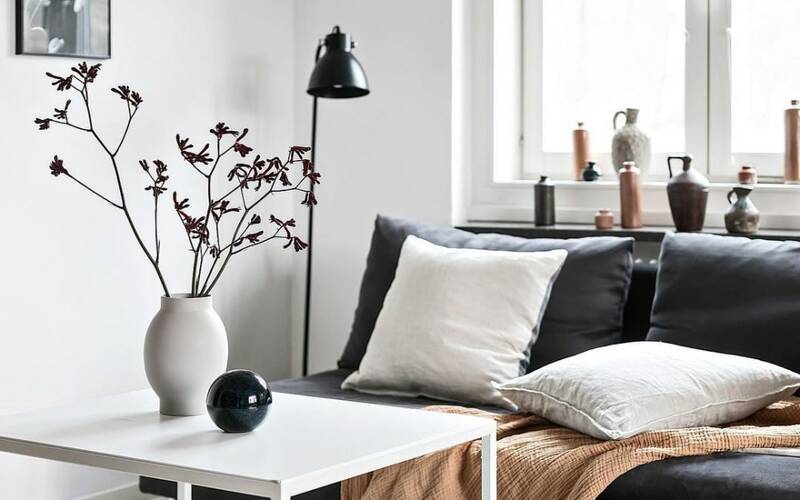 Whether this means creating a reading nook in the bedroom or using that particular armchair in the corner of the living room, choose a place where you’ll be able to disconnect from noises and activities when relaxation time comes. 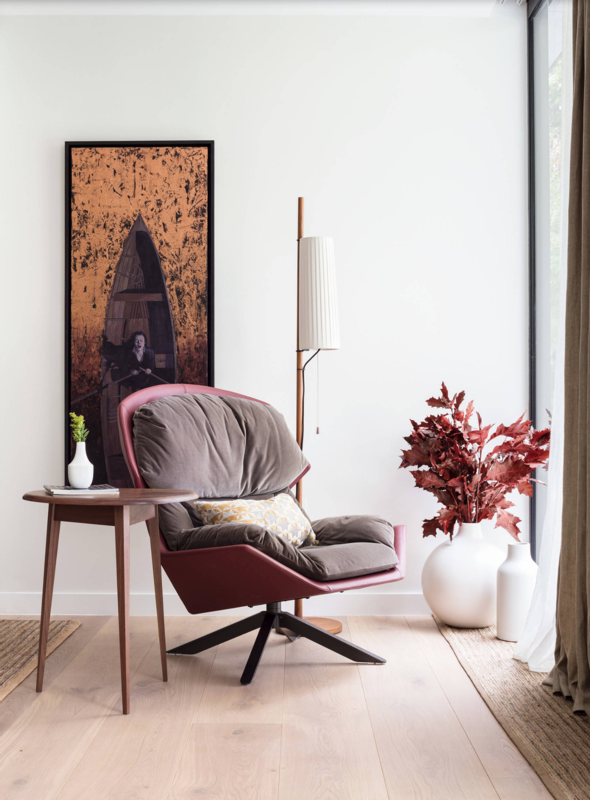 For instance, an enveloping chair is a great option to carve a calm alcove in the middle of a bigger and more active space. 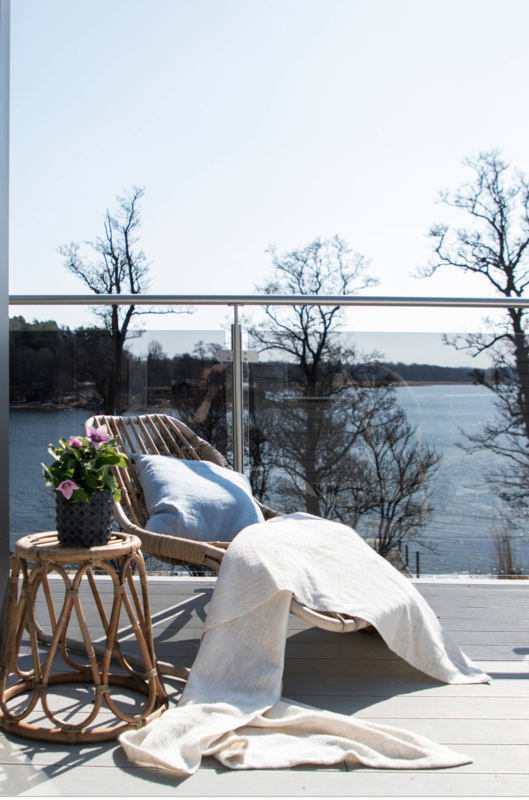 And if the weather allows, consider setting up your cozy corner on a balcony! 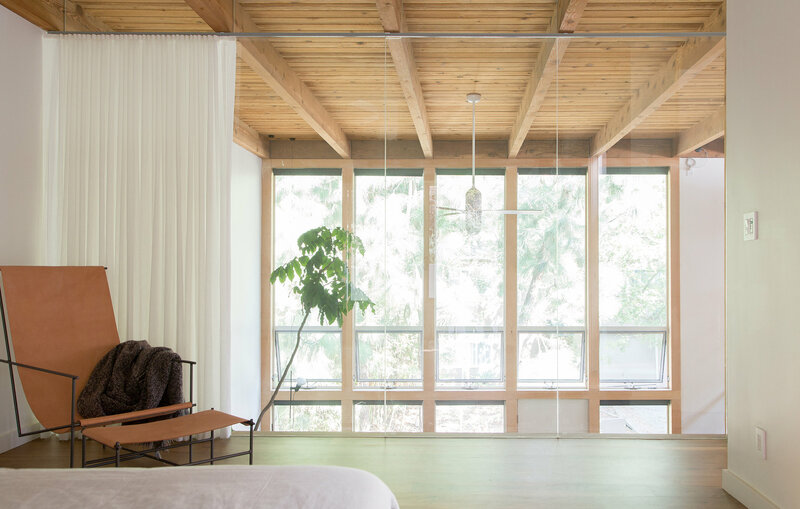 Natural light is the number one ingredient of any biophilic design. In fact, sunlight regulates our circadian system (helping us sleep better), increases our brain’s release of serotonin (boosting our mood) and increases our level of vitamin D (which is key for bones’ health). If you can, place your cozy corner next to a window. Even better if the outside view is on nature! As per artificial lighting, always include a dimmable lamp, to be able to adjust the light level at any time. 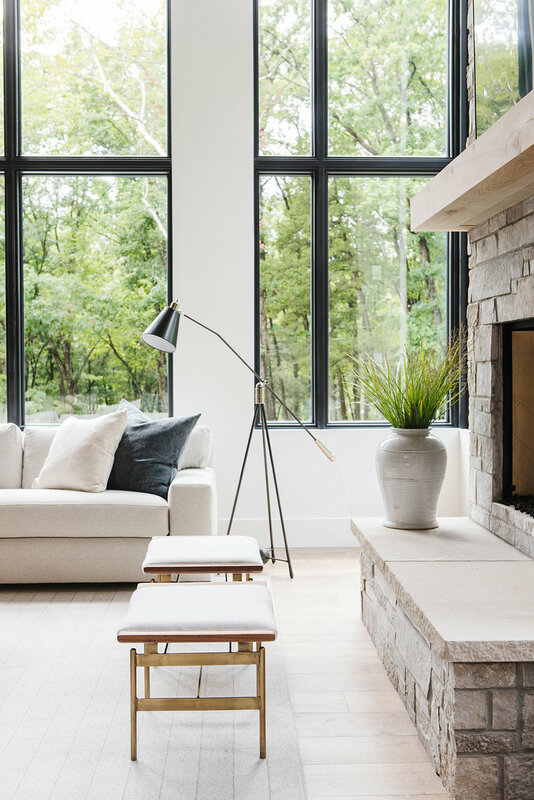 Adding greenery to a space always gives it immediate life and – when choosing the right plants – it can even clean indoor air from VOCs and other harmful substances. You can read my previous post to find out what are the best indoor plants to fight indoor air pollution. Potted plants are the most common way to introduce greenery, but what about a garden wall design? 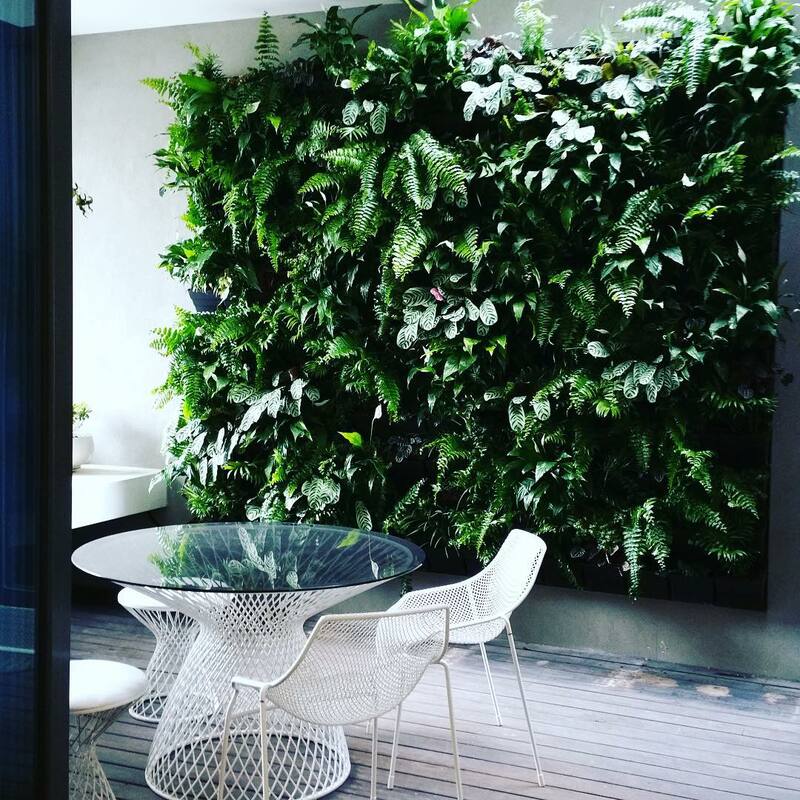 Vertical gardens are the perfect addition for a biophilic design, giving the impression of being immersed in nature while staying indoors! Also, a research from Pinterest has measured an increase of +287% in searches for vertical gardens, so they’re actually becoming more and more of an interior design trend! When decorating your cozy corner, take nature as inspiration. Including nature-inspired textures, shapes and materials can considerably increase well-being in a space (see the natural analogues patterns of biophilic design for more detail). The choice can range from a wood side table, to a soft woolen blanket, to accessories that bring in a natural inspiration. And if you’d like to try the newest trend for 2019, what about a biophilic textile art? The overall aim of biophilic design is making buildings and interiors part of their environment. From which, the advice of bringing some elements of the surrounding nature indoors. A large-scale example could be a reclaimed wood wall made out of local wood. But smaller touches like adding local shells, stones or branches (whatever recalls your area best) would be equally effective! Interior design is often associated with how a space looks, but it is so much more than that! All the five senses can actually be included in the design of a space and this will tremendously improve well-being! Smell: scented candles, essential oil diffusers and flowers will help a deeper relaxation. 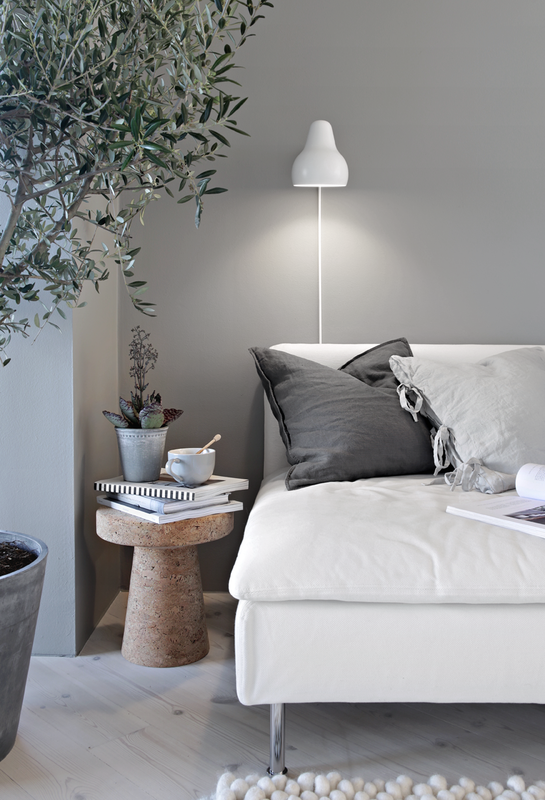 Touch: a soft blanket and one (or more) fluffy cushions will make the area cozier. Sound: a spa-like music, natural sounds (also recorded) or the sound of wood burning in the fireplace will all improve the overall sense of well-being. Taste: this actually goes beyond interior design, but why not enriching a relaxing moment with a hot tea or coffee? Now that a perfect cozy corner is in place, it's time to relax! Consistency is key here. Setting aside 10 minutes every day is far better than condensing a longer time only once a week. In fact, repeating the same ritual every day will gradually create a habit, and for once it will be a healthy habit! I wish you plenty of deep relaxation moments in your personal cozy corner. And if you need help to create yours, feel free to reach out through my design services!